Birds come in many sizes. 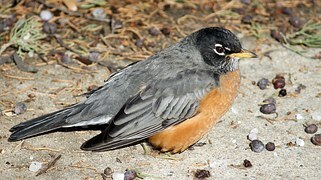 We can use a field guide to look at a picture of a bird, but the book isn't big enough to make them full-sized. Instead, they have a small picture (just like you are small in pictures) and use numbers to show how long they are from beak to tail. 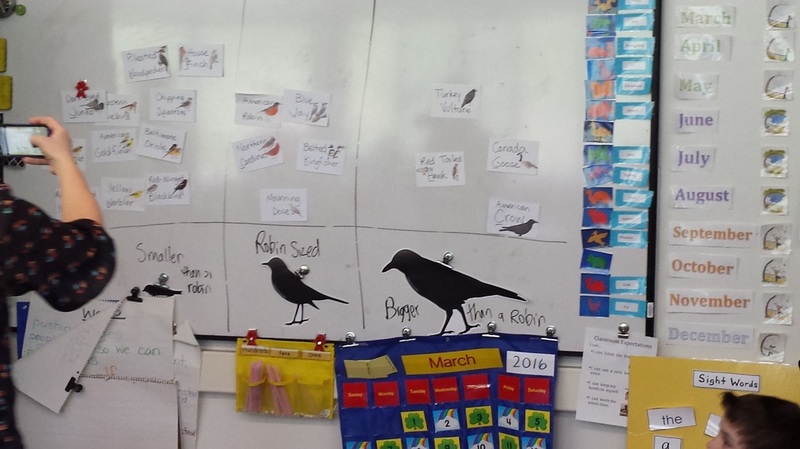 We used our field guides, yardsticks and a life-sized robin silhouette to compare the size of common birds to the robin.